Eric Russell, a spokesman for Britton's family, has urged Williams to turn himself in. Britton's parents "are in excruciating pain," Russell told reporters Tuesday. "All of our hearts skip a beat when we have children in the world that have fallen to senseless gun violence." "We have to ask ourselves," Russell said, "is there any safe place for our children to congregate?" 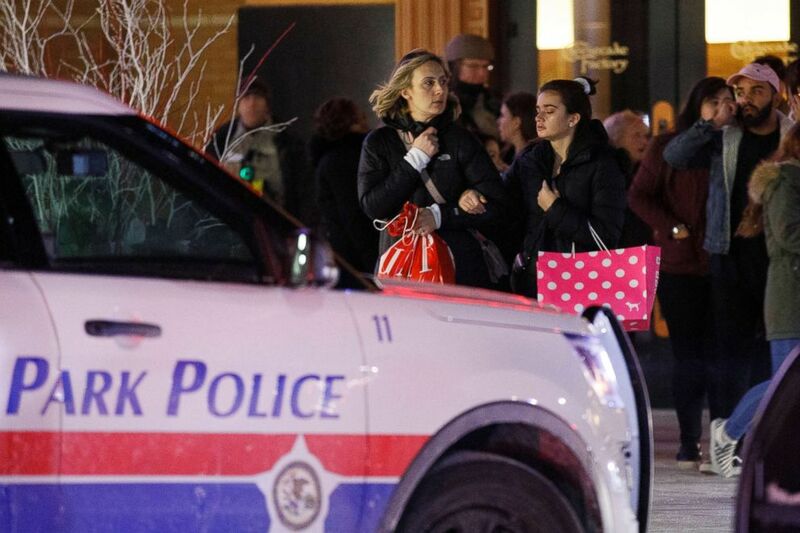 "A young man was gunned down literally feet from where my and other families were shopping," he wrote on Facebook. Beyond the tragedy of "another senseless shooting," Sims said the second tragedy was that the children who witnessed the aftermath lost some of their innocence. "I and the other parents tried to shield the children from the reality of what just occurred but after seeing the terror in their eyes these children will remember this day for years to come," he wrote. "When will we come to grips with the fact that we MUST deal with the flow of illegal guns onto our streets and the trauma that is turning our young people into victims and perpetrators of violence."